Nik and Ruth Ripken have served 35+ years as missionaries and conducted extensive interviews with hundreds of persecuted Christians from all parts of the world. They went not as teachers but as students, simply to sit at the feet of persecuted believers and learn from them. The bold believers they met shared amazing lessons about living out faith in Jesus in the midst of hostile enemies, literally sheep among wolves. What are the qualities that allow faith to thrive in such hard places? How are churches built in nations closed to Christian witness? Are there ways we can reach out to people from hostile nations, right here in the United States? Nik and Ruth also offer insights for American Christians on ways we can encourage and bless missionaries that our churches are sending out and supporting—both while they serve and when they come home to refresh and recharge. 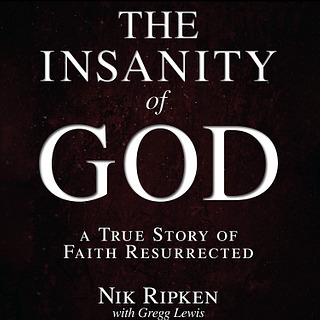 Nik is the author of The Insanity of God: A True Story of Faith Resurrected, which was also made into a film. You can listen to Nik and Ruth’s previous conversation on VOM Radio, conducted when the film was released, here.